Modern watches and creative watch designs from all over the world. Instead of hands (hours/minutes/seconds), one rotating disc shows the time in hours and quarters (marks). The clock face exists as a ring only, the center is completely empty. 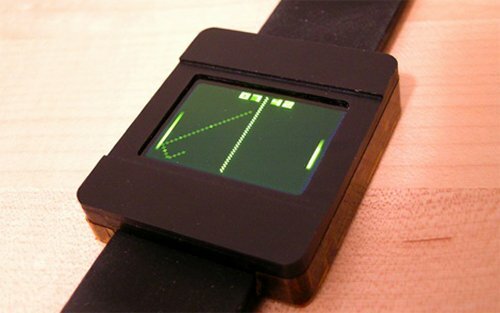 OLED display runs continuously - unlike older LED watches, there is no need to press a button to see the time. Battery life is 25 hours. Display time on your skin with Vain watch design by Tao Ma. Creative futuristic watch designs from Denis Guidone. This watch is based on solar system. The central red part is sun and the two planets rotating around is used to indicate hours and minutes. 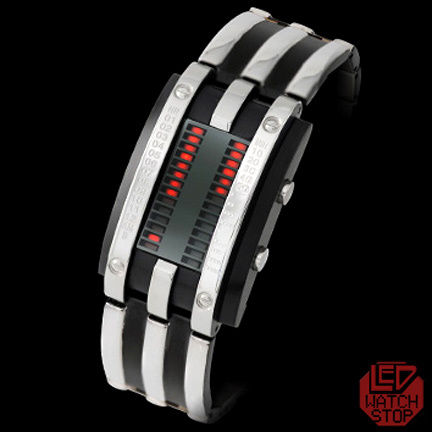 The idea for this watch is classic plastic bracelet, with incorporated lines inside the watch that show the current time. 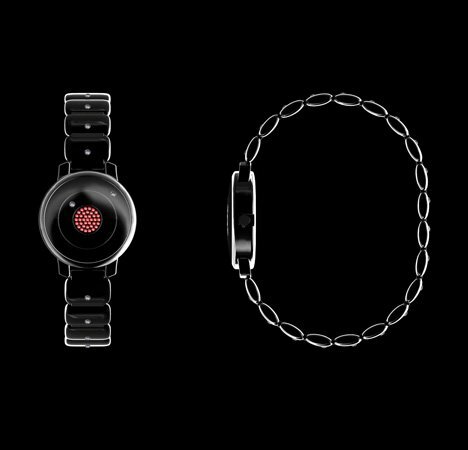 Creative watch design by Shunji Yamanaka for Issey Miyake. The Tima Watch, by French designer Julien Bergignat, is just another example of why more things should be made utilizing e-paper. Although handcuffs aren’t a good thing for most people, you might like this handcuff-shaped watch. 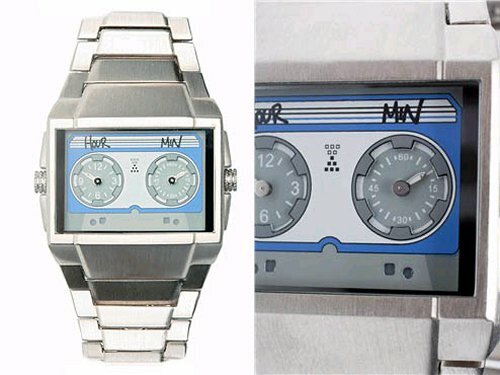 ASOS Cassette Face watch is a modern quartz timepiece that evokes the look of a cassette tape. White dots run randomly. When you want to know the time, just shake it or hit the glass surface slightly. 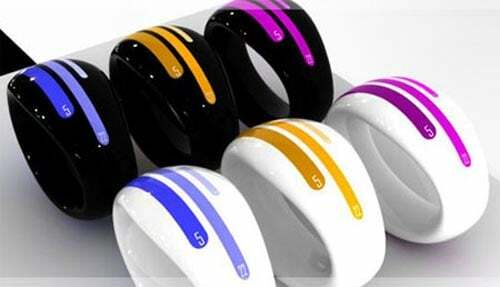 Unique LED sports watch is fully waterproof and recharges wirelessly.